We had planned on allowing trainers way more time to beat Deoxys in the second round. But Niantic foiled our plans and made Deoxys harder to beat not long after the second contest launched. Meh. Nevertheless, a few trainers managed to squeeze in some amazing performances and blasted the previous winners’ scores out of the water. (Sorry KiengIV, you’ve been decrowned, at least in this round). 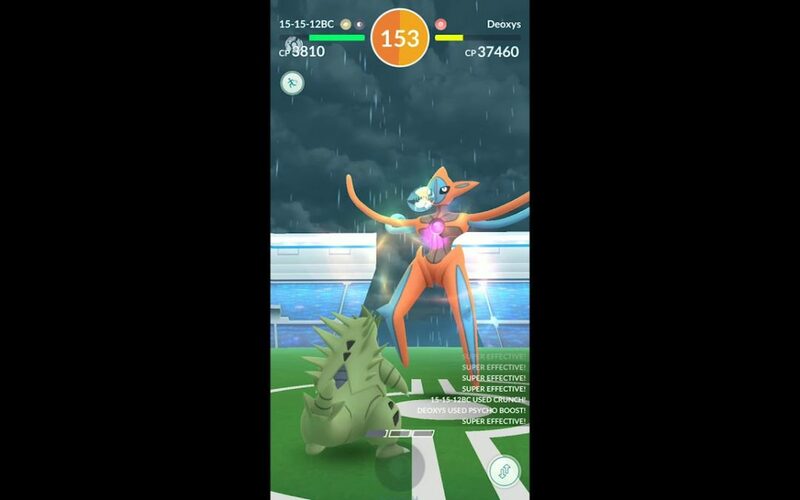 So without further adieu, check out this video below of our Lowest CP winner with his TTAR duo totaling a not so whopping 7610 CP. Great job Gio0822! You get $100 and a special ‘Contest Winner’ Pokebattler subscription! For our ‘fastest time’ contest we also a trainer blast the previous winner to smithereens. Check out this fastest time at 1 minute 53 seconds. Great job Julio! You get $100 and a special ‘Contest Winner’ Pokebattler subscription! I´m from a small town in Brazil, Palmital in the state of São Paulo. I´ve been practicing with shadow Gengar for a long time so I knew it that I need to dodge every time that my Pokemon was able to survive the charge moved damage. This way I needed a run where the RNG always put me in this situation. This way I restarted the raid every time that I could do that. Doing speed runs is all about practice and patience. You need a good strategy! Thanks for the info Julio! We also have another article coming up about a very special ‘honorable mention’ with a trainer who ALMOST beat the lowest CP winner AFTER Niantic buffed Deoxys. The only reason they didn’t? A horrible, no good, super unlucky bug. If all goes to plan, a special guest blogger will be posting that article in a few days. STAY TUNED. Thanks everyone for entering. Happy hunting!